There are three classes of motions which a Debater will encounter over at various debate tournaments, namely Loose-Link, Tight-Link and Straight Link. Each class signals how much freedom the Proposition teams will have in their definition of the key terms in the motion. Loose-link motions are difficult for the Opposition teams to prepare for and are typically used only in tournaments where there is very limited preparation time for both teams. The Opposition teams will generally start developing their case only during the speech of the First Speaker of the Proposition. The Proposition teams are likely to have developed their favourite cases over days and weeks so that they will have any easy time delivering the case. These motions are common on the American Parliamentary Debate circuit and used to be seen regularly on the BP circuit. However, the BP circuit has generally moved away from loose-linked motions. 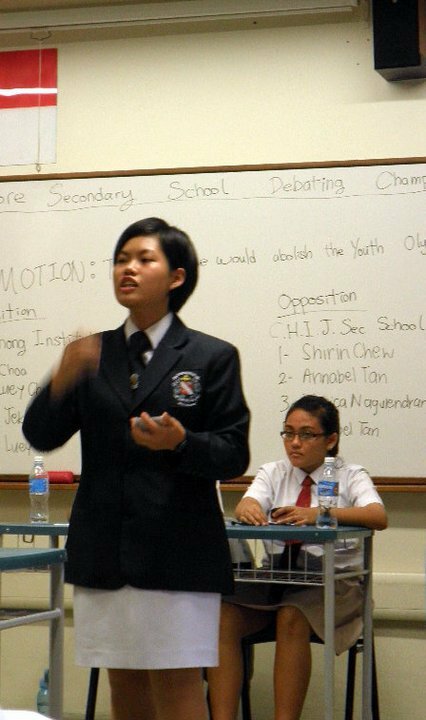 Debaters are not likely to see a loose-link type of motion in the WSDC format. Tight-link motions offer debaters some room in choosing how they will define the key terms of the motion. Tight-link motions come in two varieties. One type of tight link is the “Metaphorical” motion, where the motions are generally derived from common sayings or phrases. The Proposition will thus have to use a definition which has to be related in some way to the phrase. For instance, the motion could be “This house believes that red is best” and the proposition could run cases in favour of Communism, in support of compulsory blood donations or in support of Native American cultures. These type of motions could still be seen on the WSDC circuit from time to time (one such example is “his house would go green”). However, they are generally rare since they tend to lead to definitional quarrels between the teams. The second variety of tight-link motions is more confining in its definitions. These motions will narrow the topic down to a specific issue but leaves the question open to the Proposition to decide how to approach it. For instance, the motion reading “This house would bring Gaddafi to court“ leaves open many options for how this individual is to be tried. It could be in an international court, a Libyan court or even an American court. These motions can be found quite often on the WSDC Circuit and teams will have to be prepared to face them. The Opposition teams will thus have to design cases that oppose the motion in general rather than the Proposition’s specific case and policy, which could be hard to predict. Straight link motions leave very little doubt as to what the Proposition team is required to do as the motion is requires the Proposition to define it exactly as it is expressed. For instance, such a motion could read “This house believes that democracies should boycott the 2008 Beijing Olympic Games.” These are the most common types of motions that will be found on the WSDC circuit. 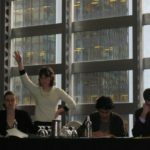 Debaters need to be aware that there are generally three different types of motions that they will encounter: Evaluative motions, Comparative motions and Policy motions. Evaluative motions refer to motions where the teams make a judgment on the subject of the motion. For some motions, the teams make a general evaluation of whether a particular entity is good or bad. These motions could be phrased as “This house supports the Monarchy, This house believes that the Media has done more harm than good, This house supports ASEAN., etc.” In these circumstances, the teams will have to consider the various traits and characteristics of the subject (the Monarchy, Media, ASEAN, etc) to show that their impact have been generally good or bad for society. A variation of the Evaluative motion requires teams to make a judgment on a particular subject based on a fixed criterion. In these motions, the teams are required to argue whether the subject fits a particular description or not. For example, for a motion which reads “This house believes that the Internet is dangerous” the Proposition team argues that the internet has been dangerous while the Opposition team argues that the internet is safe. Any of the Opposition team’s arguments on the other benefits of the internet will thus not have a significant impact on the motion. Another example will be the motion “This house believes that there is too much money in sports,” where the debaters will have to show that sports has too much money or that it does not, and ignore the aspects of sports which are not related to or impacted by money. Comparative Motions refer to motions where debaters are required to compare two separate subjects. 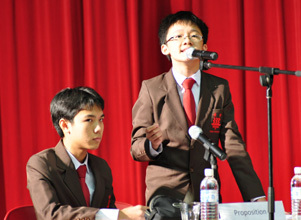 Usually, the debaters will be asked to choose between two separate subjects, assuming that both cannot be chosen at the same time. In these cases, the teams will have to evaluate both subjects according the same set of criteria and make a judgement on which one will be better for society. For example, for the motion “This house would rather economic development than environmental protection,” the Proposition team has to highligh how economic development is needed to relieve poverty in the developing world while the Opposition team may argue that environmental protection creates more poverty. Policy motions refer to motions where the Proposition has to outline a specific plan of action in accordance with the motion. There is usually no need to outline the plan in minute detail and a broad set of policy measures will be sufficient. These motions require propositions to show that the policy is needed and that the policy is effective. The Opposition will usually be able to attack the motion and the Proposition on either ground. However, it is usually better for the opposition to be able to show that the policy is both not needed and not effective. 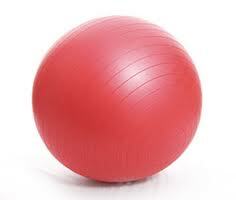 Special Motions: Debaters should take note of certain motions, which are called “Big Red Ball” motions. These motions require the Proposition team to prove multiple elements within a motion and are generally tougher on the Proposition team. They are named “Big Red Ball” since the Proposition has to prove that the ball is both big and red. One such motion will be “This house would control population through legislation in China.” The Proposition has to prove that a. the population has to be controlled, b. the control has to be through legislation and c. that the policy should be implemented in China. The Opposition has the option of attacking any of the above three facets. It may also decide to attack ALL three facets but has to be careful that it does not contradict itself in doing so. Within a debate, the Proposition generally has the burden of showing that motion is valid in the majority of circumstances. The Proposition does not need to prove that the motions are absolutely true all the time. The Opposition team, in contrast, has to cast reasonable and significant doubt on the motion. It is not good enough for the Opposition team to point to one or two contrary instances to show that the motion cannot stand. For policy motions, it is an incorrect assumption held by many Debaters that the Proposition team has to propose a plan that is a departure from the status quo. 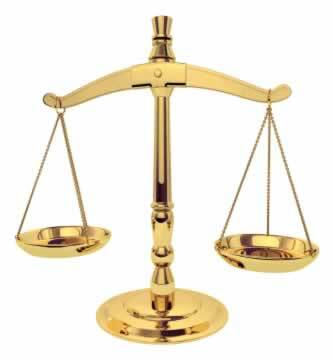 The Proposition team is allowed to run a case which affirms the policies which already exist. It is also a myth that the Opposition team has the burden of providing a counter-policy. However, Opposition will need to have something prepared in the event that the Proposition presses for Opposition to provide an alternative. Nonetheless, the focus of the debate should be placed firmly on the policy put forward by of the Proposition.